Environmental policies pertaining to fresh water contamination have been implemented by the government, like the Clean Water Act and the National Pollution Discharge Elimination System, to reduce environmental hazards. These policies have made the use of silt barriers around construction sites where dredging operations take place standard industry practice today. Silt barriers are specifically designed to ensure that silt and turbidity elements do not contaminate nearby fresh water streams, lakes, ponds, and other types of bodies of water. Turbidity is the measure of optical properties, such as haziness and cloudiness, of water caused by loose sediment and suspended materials to the naked eye, like smoke in the air, in order to determine drinking water quality. Silt curtains, also referred to as turbidity curtains, have been used as oil spill response equipment to control suspended solids or turbidity by creating a silt barrier, made out of a permeable or solid material. 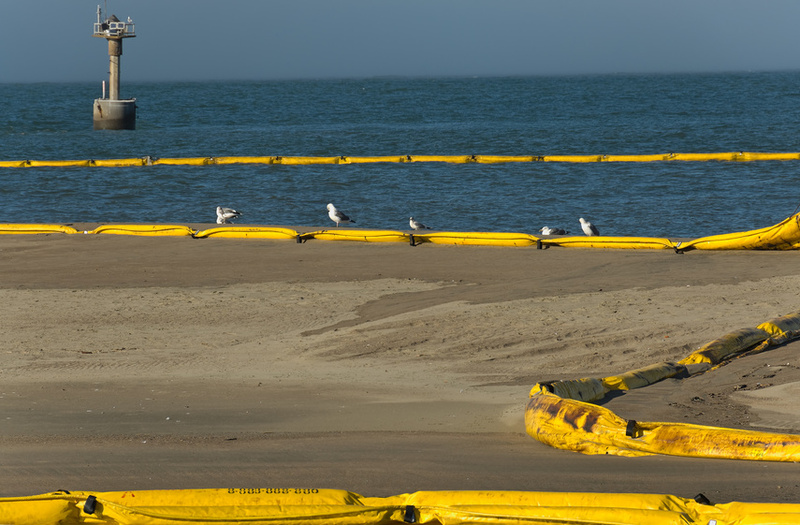 One of the main uses for a turbidity barrier to contain an oil spill or any other situation in which material must be restricted from entering fresh water. A situation like this calls for a specific type of silt barrier which has been treated with a geotextile material to absorb the oil and other hazardous materials, which is called a Gunderboom. The use of silt barriers is standard practice and is still known as a Best Management Practice because, despite their popularity by name, they have limited effectiveness because of the simple design or lack of care and maintenance. Controlling suspended sediment has become an issue of the past few years because of the increasing amount of dredging projects being done throughout the world. The United States Environmental Protection Agency is at the forefront in making silt barriers a mandated practice amongst construction companies who deal with dredging, marina projects, and general construction working near fresh bodies of water.